Listening to this album the first time around, a rare sensation came over me. It was a feeling of well over-due refreshment, much like taking that first sip of ice-cold soda from AM/PM after a day’s work of landscaping in the heat of the summer. Yeah, it was exactly that kind of feeling. It was also a surprise, because I find myself rather partial to material using ‘Gothic’ as part of its description. Deciding to leave prejudice behind in this case, I found Gothic is only one of many styles you would use to describe Devar’s sound. "Alternate Endings" is the first album from these Norwegian Gothic metalheads, and features their previously released single "Cold Slither". 1. In a large bowl combine equal parts traditional blast beat driven Black Metal and the Rock'n'Roll your parents (and hopefully you) know and love. 2.In a separate bowl take John Lennon/Paul McCartney (melted) and Louis Armstrong for vocals; mix thoroughly. 3. Add Lennon/McCartney/Armstrong mix to Black Metal/Rock'n'Roll mix and stir until just combined. 4.Sprinkle liberally with Gothic temperament and serve chilled. Why I write until ‘just combined’ is because not all of the styles are all at once blurred together here. "Alternate Endings" starts out very Gothic; actually to the point that it sets up expectations for some gothic-to-the-point-of-Halloween-y kind of music (the female vocals in the here did make me wince, one criticism). Fortunately, the blasting drums and woeful guitars of the second track blew that thought away. By the third track gritty distortion quickly gives way to the unadulterated pure electric guitar sound and a relaxed tempo. 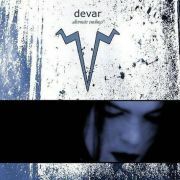 Devar’s (the vocalist’s name as well) vocals are spread throughout the tracks but don’t dominate the majority of actual track time, allowing breathing room for everything else. The album continues with some songs starting out with the Black Metal sound and somehow ending up in the indie rock vein of Arcade Fire… it works.